The hill on which the young woman's shelter is being built is so unstable that the earth crumbles under your feet. The threat of landslides is so dire that her neighbors have evacuated. Though living here could spell doom as the monsoon rains fall, she will live here anyway. "Within 24 hours of the first rains falling, we were seeing small landslides and we were seeing flooding everywhere," says Daphnee Cook, a spokeswoman for Save the Children. "I've been here for seven months and I was appalled at how quickly things started to fall apart." 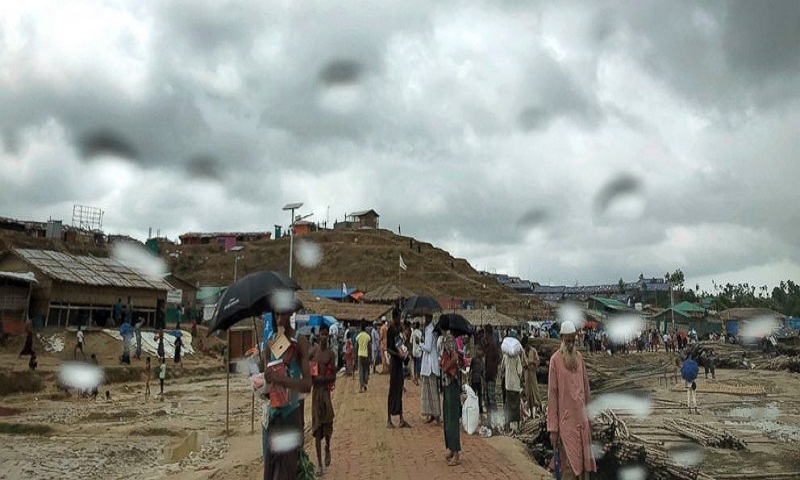 "In Myanmar, it's scary because there's no guarantee for our lives," says Alom, as the rain begins to fall on the roof. "Here, even if there's a landslide, at least we don't have to worry about the military."